I am a first class ball breaker, and I know it. But I woke up this morning with a feeling of dread in my chest. We never did resolve what to do about the fact that one of our refugee friends had to use a false name on her Nigerian passport to cross the desert during the war in Libya, making it look like she was married to a man she hardly knew so that she would not get raped like so many other single women who crossed before her. The law in Italy requires refugees to have a non expired passport from their home country to renew their stay permits here. 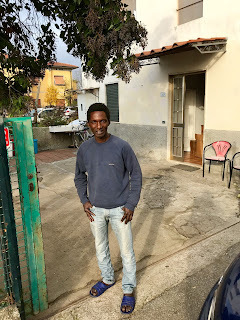 The Nigerian Consulate in Rome won’t let her renew because the name is not correct and it shows up in their computer system. There is a way to start all over again with the passport, but only if you pay a lot of money in person to the Consulate in Nigeria. The only way to get back there would be to take a bus across the border from a neighboring country. When one of our group members returned to Nigeria for a few weeks to care for a dying relative, he came back with parasites and all kinds of intestinal distress and had to go into the hospital here to cure himself with antibiotics. Since the person in question is the mother of an infant, we can’t risk that the baby would also not have clean water to drink or suffer in other ways. Hopefully, if we figure out how to fill out her renewal application for a permesso di soggiorno before the current one expires, she can still use the Italian travel document, which is set to expire at the same time as her permesso. But I don’t want her to get into trouble further down the line. It is also a problem for her baby, now that Italy requires new babies to have their own permesso di soggiorno and to keep it up to date. The baby won’t be considered an Italian citizen until she is 18 years old. And that is the case only if she maintains her residency and paperwork perfectly up until that time. 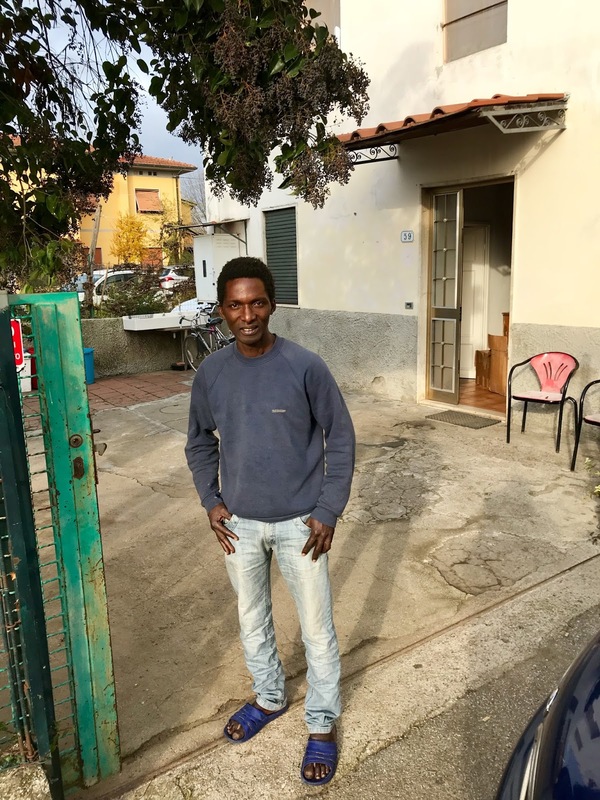 All of our lawyers stopped helping us effectively, so I reached out to ARCI — a non-profit association to help migrants in Italy. The contact I have, Alberto, is wildly busy, and I don’t always understand him on the phone; so I wrote to him on messenger. Then, when he didn’t reply this morning, I wrote an even longer request. He replied that we could talk on Monday. So I cheekily wrote him, excusing myself as a first class ball breaker. I should have said of the first order, but it came out di prima classe, like I was talking about airplane seats. He said not to be silly; he was just busy. While I was taking to social media, F was driving out to Moro, our helper from last Christmas at the Red Cross, to bring some winter bedding and fresh towels to him at his group home. F said it looked like a pretty decent house for eight people. He has been waiting for his permesso di soggiorno for well over a year. It is a long time to wait for a permesso because he cannot work or do anything independently until he has it. Meanwhile, he has been doing a good job studying Italian, at least. 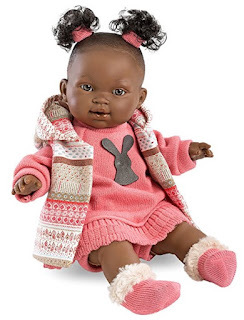 We got this doll for Peace. It was for Christmas, but nobody can resist opening these amazon packages from us if they arrive early. It cries when you remove the pacifier. She is obsessed with comforting it and takes it everywhere. Apparently, the other doll she had from the donations did not interest her as much because it was a boy, according to Tina. But maybe it was because it’s head fell off and Tina threw it out. Whatever the case, this new one is a real hit! Sometimes I love Amazon.it, but it is a real love-hate relationship. They are the part of Amazon which is not really welcome at the family holidays because it gets drunk and talks politics, and puts its thumbs in all the pies. Also they do things like offer cosmetics that you can get at CVS for five dollars and offer them up for about 300 euros. No grazie.